One race down, nine to go. The 10-race 2014 NASCAR Chase for the Sprint Cup is entering its second event this weekend with Brad Keselowski claiming a crucial victory. Securing himself a spot from the Challenger to the Contender round in the 2014 Chase, Keselowski's win is quite an impressive score for the Penske Racing driver. For the three years that Chicagoland has played host to the opening round of the NASCAR Chase, the winner has gone on to win the championship twice. Of course, with a new Chase system in place, it's hard to determine how much of an advantage an early Chase victory would be for winding up in contention for the trophy at Homestead-Miami Speedway. One more important note leftover from the Chicagoland race is that the average finish for championship winners at the track was 2.33. For Brad Keselowski and Jeff Gordon, the historical calculations could bode well to their championship chances for 2014. Here is a review of last week's race at Chicagoland comparing the 16 NASCAR Sprint Cup Chase contenders run to historical data. Despite the all-new ladder Chase system, I still believe maintaining the highest possible result throughout the 10 races is key. For many driver's, improving on their 2013 and career average finish was paramount at the MyAFibStory.com 400 at Chicagoland Speedway. After the 2014 race Denny Hamlin, Jeff Gordon, Dale Earnhardt Jr as well as Joey Logano rose to the Chase occasion by bettering both their 2013 result and average finish in the NASCAR Sprint Cup Series at the track. 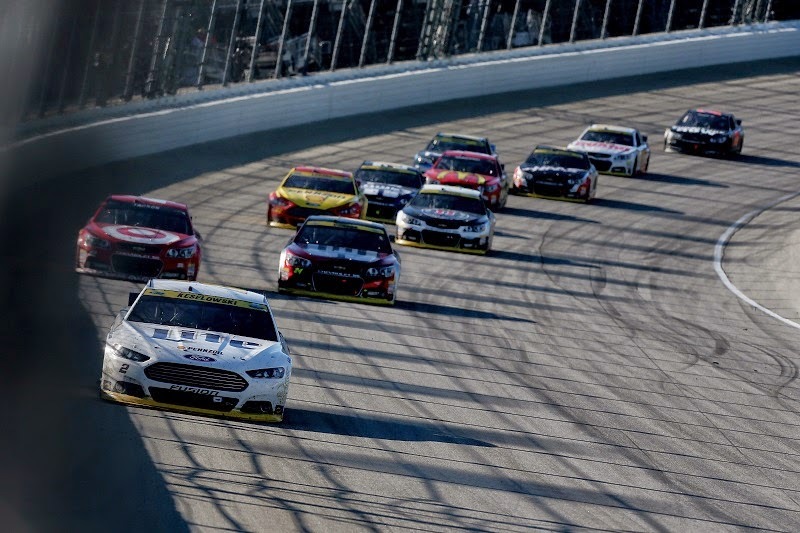 Aric Almirola's mechanical misfortunes at Chicagoland resulted in the driver of the #43 Ford Fusion furthest negative decline based on historic criteria. For the second race 2014 NASCAR Sprint Cup Chase event, the Sylvania 300 at New Hampshire Motor Speedway has been part of the 10-race play-off style championship since its inception in 2004. This year's championship contender Matt Kenseth is seeking to defend his 2013 win. Comparing Career average finishes at New Hampshire, Kenseth's Joe Gibbs Racing teammate Denny Hamlin holds the advantage. The driver of the #11 Toyota race car has placed in an average spot of 8.9 since joining the Sprint Cup series in 2006. Hamlin will start fourth on Sunday for the Sylvania 300. The average finish for past championship winners at New Hampshire Motor Speedway has been ninth place. The worst finish at the track for a driver during a successful title run occurred in 2006 when Jimmie Johnson crossed the line in 39th place. In fact, two of Johnson's championships resulted in New Hampshire being his worst track in the Chase. The race in New England was also won twice by the year's champion with Kurt Busch in 2004 and Tony Stewart in 2011. The 16 Chase contender along with 27 additional cars will race for 300 miles around the 1.058-mile oval track. As the final important number to state, start time for Sunday's event is 2:15 PM Eastern time.